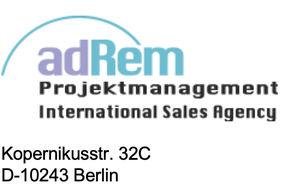 adRem Projektmanagement is a consultancy that specialized in the food industry, the food service and hospitality sector, and their suppliers. We gained decades of experience with well known companies and offer a wide range of services. In addition to the superordinate analysis and implementation, we are strong in consulting on Strategy, Marketing and PR activities, International Sales, and Innovation Management. If needed, we also provide interim management.